Ah Yorkshire, perhaps the most English of all English counties. 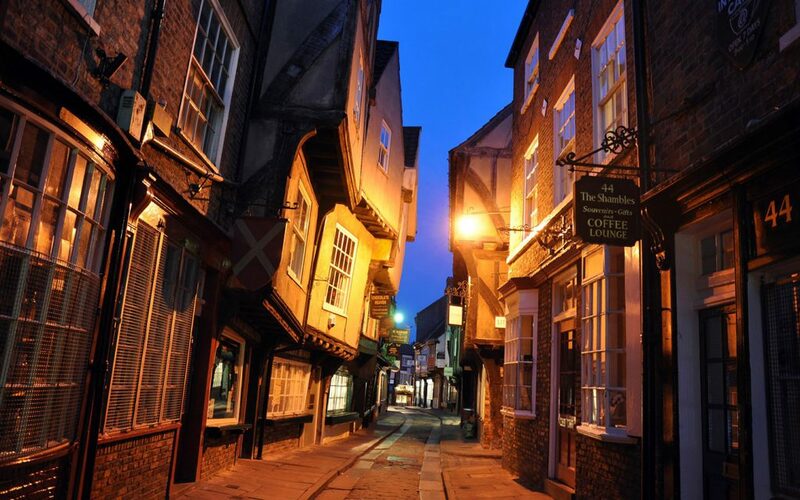 It is considered by many to be one of the key cities in British history, and has made countless contributions to the world including the Bronte sisters, Yorkshire Pudding, and the Yorkshire Ripper. As the county has been a hub of culture of business for several centuries, there is no shortage of historical buildings in Yorkshire, and millions of tourists flock to the area every year to take in some of its world famous sites. However, many of these buildings have a history which remains unknown to the majority of people in the county. A history which involves deaths, murders, and treachery. 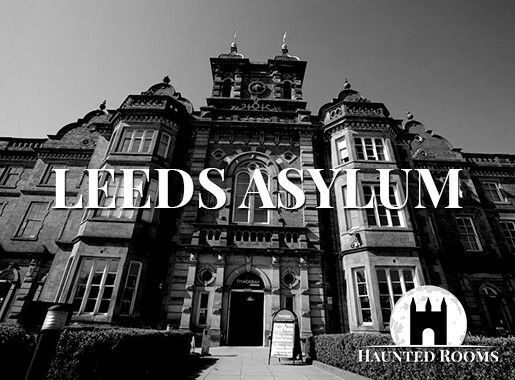 These tragedies have resulted in Yorkshire becoming one of the most haunted places in all of the United Kingdom, and we’re going to look at some of the county’s most horrifying spots right now. Here are five of the most haunted places in Yorkshire. If you grew up in Hull, it is likely that you are familiar with the foreboding red-brick building which used to be the Annison Funeral Parlour. The building is today home to a late night pharmacy, though the stories of paranormal activity are as plentiful as ever and staff at the pharmacy refuse to travel beyond the first floor or into any of the abandon rooms which were in use during the funeral parlour years. The reluctance of the pharmacy staff to venture into the unknown is perfectly understandable when you consider the history of the building. 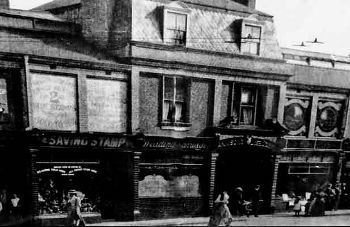 The Annison Funeral Parlour is believed to be the last location visited by Mary Jane Langley, an 18-year-old girl who was murdered is 1891. Prior to her disappearance, Langley visited the building in order to meet with a photographer who operated his business there. Not long after, her lifeless body was discovered in a ditch with her throat slit. Though police listed a number of people of interest – including Jack the Ripper suspect Frederick Bailey Deeming – nobody was ever convicted of the crime. It is believed that the ghost of Mary Jane Langley haunts the Annison Funeral Parlour to this day. Pretty much every employe of the aforementioned pharmacy has had some sort of eerie encounter with a spirit, generally thought to be that of Langley. Many who have visited the building have also found themselves coming face-to-face with her ghost, while others have reported hearing disembodied voices and footsteps.. The tales of the Annison Funeral Parlour have spread so far and wide that Most Haunted conducted an investigation at the location a number of years ago. Attempts to contact the spirits of Mary Jane Langley or her killer returned bumps and groans, but not clear response. However, footage recorded during the investigation and examined afterwards showed a chair being dragged across the floor by an unseen force. Haunted Rooms holds a number of ghost hunts at the Annison Funeral Parlour every year, so make sure to keep checking our Events section if you want to follow in the footsteps of the Most Haunted team. Ripon Workhouse Museum is one of many former workhouses throughout the United Kingdom and comes with that same sense of hopelessness and despair which anybody who has visited a workhouse in the past will recognise. It has been said that those who entered the Ripon Workhouse did so with the knowledge that they would not be coming out, save for in a coffin. Disease and death were so common in the building that officials ordered coffins in bulk and still struggled to keep up with the amount of fatalities. Given that the workhouse is today a museum, there are reminders of its past everywhere. Some, of course, have been carefully chosen by museum proprietors in order to provide those who visit with a glimpse into what life was like during the site’s days as an active workhouse. Some of these reminders, however, come in the form of spirits, unable to move on from the building in which they literally worked themselves to death. Among the many ghosts of the Ripon Workhouse Museum is that of a man by the name of Gordon. Gordon has appeared to a number of tourists over the years and has on occasion been contact by Ouija Board. During a particularly memorable Ouija Board session held at the workhouse, Gordon detailed his time at the building and explained that he was forced into the workhouse during the later years of his life and hated every minute of it. He passed away after spending a couple of years inside the walls of Ripon Workhouse, but even his death did not release him from the prison. Haunted Rooms also hosts ghost hunts at the Ripon Workhouse Museum with some frequency, details of which can be found on our Events page. Built all the way back in the 1630s, the 17th Century East Riddlesden Hall has a long history with plenty of comings, goings, births, and deaths. 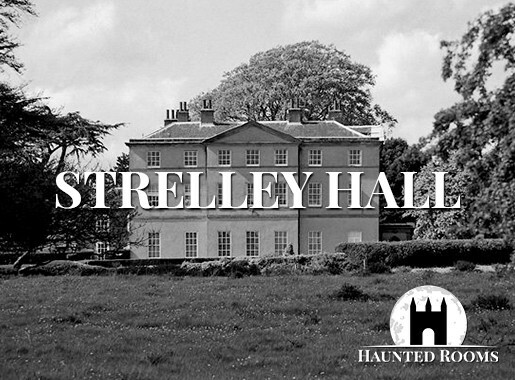 It is said that the building has been the site of paranormal activity for several hundred years, and the fact that it is today owned by the National Trust has done little to alleviate the spooky goings-ons. 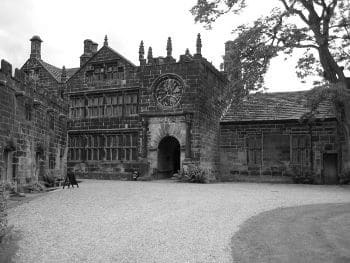 Anybody who has worked at East Riddlesden Hall has at some point experienced an unexplainable event or ghostly encounter. In fact, it has been said that a month does not go by without some significant paranormal activity occurring. A regular spirit at the hall is The Grey Lady, who is often encountered by children who don’t realise the building has a reputation for being haunted. Some tour guides have recalled being asked by school groups about “the lady in the corner”, only to turn and find nobody there. Along with the school children who are brought to Riddlesden Hall for a more hands-on learning experience, there are a number of ghostly juveniles in the building. 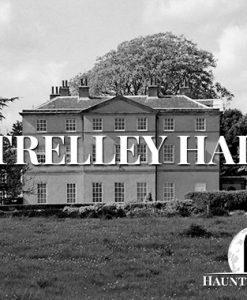 One of the most infamous stories of East Riddlesden Hall concerns a member of staff who noticed a small boy wandering around the building in period clothing. Believing the boy to be a member of a school group attending the hall in costume – a regular occurrence – she approached the child and asked him if he had become separated from his school group. After receiving no answer from the boy, the woman went to the office to report the incident, at which point she was informed that no school groups were visiting that day. Throughout its long and colourful history, Temple Newsam has been home to a number of equally colourful, affluent characters. In fact, it is here that Lord Darnley, who would go on to marry Mary, Queen of Scots, took his first breath. It was owned for several hundred years by the Ingram family before finally being sold to Leeds County Council at the beginning of the 1920s. Like East Riddlesden Hall, a government presence has done little to ward off former owners trying to reclaim their home, and a ghost wandering the halls is not an uncommon site. Of the many spirits of Temple Newsham, one of the most notorious is that of Mary Ingram. Mary was in her early teens when she was held up by a gang of highwaymen when returning home late one night. With nobody around to save her, she had no choice but to give up her precious pearls, which she wore around her neck on all occasions. The next morning, Mary was still in a state of distress and it was clear that the robbery had a serious impact on her mental and physical health. Unable to eat or calm herself down, Mary’s health continued to deteriorate until she finally passed away. 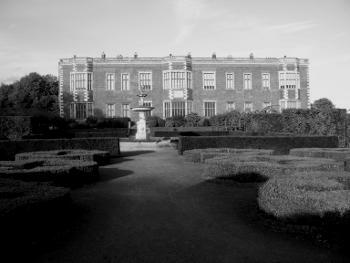 The ghost of Mary Ingram is often spotted throughout Temple Newsam, likely searching for the pearls which she was asking about until the day she died. Visitors often report hearing muffled cries, along with rippling carpets and sudden, unexplainable blasts of cold air. It is unusual to find a house on one of these lists that isn’t several hundred years old. Number 30 East Drive, however, is a special case. 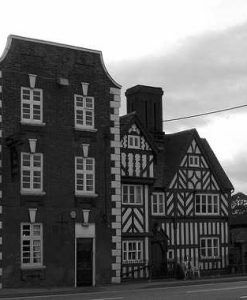 The house has been captivating the UK paranormal community and beyond for decades, and has even been the site of a Most Haunted investigation, much like Annison Funeral Parlour. Most Haunted presenter Yvette Fielding described 30 East Drive as the most terrifying location she had ever visited, citing the never-ending paranormal activity and the violence of the spirit who dwells there, which is excessive even for a poltergeist. Poltergeist activity has been reported at the house for over 40 years. The Pritchard family, who occupied the home during the first reports of paranormal activity, initially tried to ignore what was going on. However, the malevolent spirit refused to be denoted to the background and the parents were forced to seek help when the entity began to target their young daughter. One of the most disturbing of the poltergeist’s attacks saw the spirit drag the 12-year-old girl up the stairs of the home by the throat before attempting to strangle her with an electrical wire. 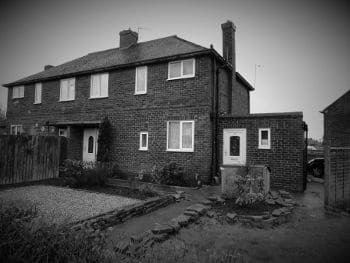 Exorcisms on the the location proved unsuccessful and the paranormal activity persists, with neighbours reporting screams and demonic voices even during periods of the home being uninhabited. 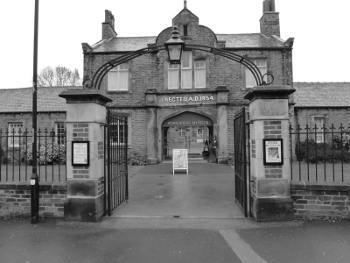 Like the Annison Funeral Parlour and Ripon Workhouse Museum, Haunted Rooms holds a number of ghost hunts and overnight events at Number 30, East Drive. Check out our Events page for details on our next journey to the house and, if you think you can handle it, tag along.